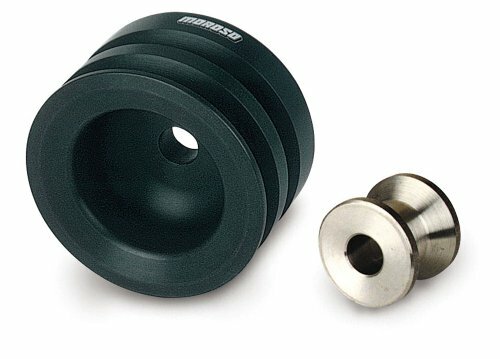 Brand new black steel double groove crankshaft pulley. 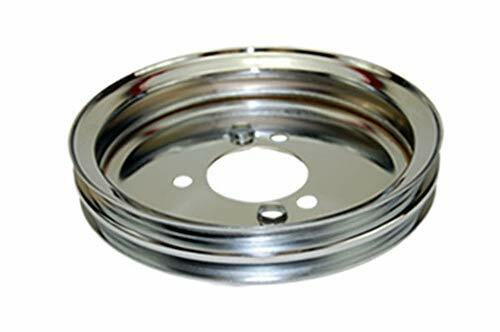 This pulley fits 1955-68 small block chevy's with a short water pump. This pulley is 7.30 inch diameter. Black steel finish. Sold each. Kit includes a cast aluminum double groove cast aluminum water pump pulley, crank pulley, and a matched pair of heavy duty belts. Slows water pump speed by 20% for increased horsepower. 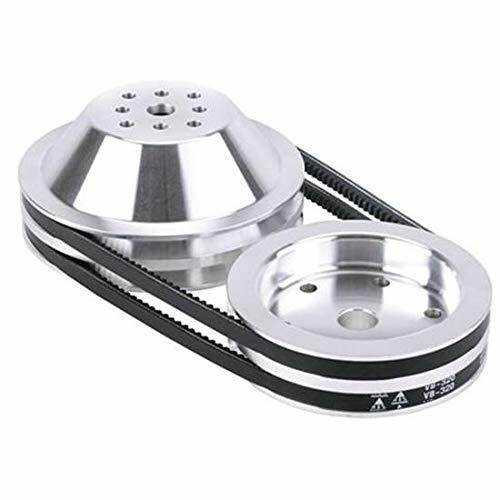 Upper Pulley Grooves: Two Lower Pulley Grooves: Two Upper Pulley Diameter: 6-5/8" O.D. 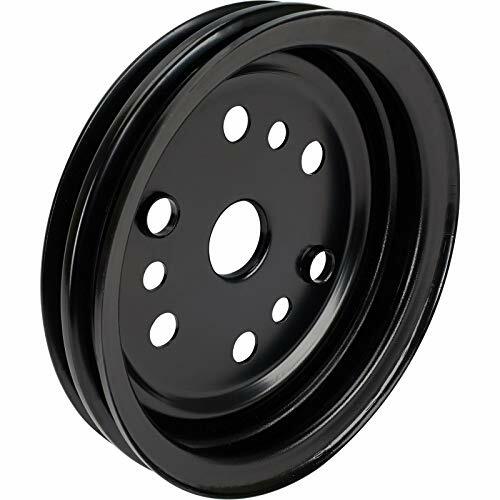 Lower Pulley Diameter: 5-7/16" O.D. Upper Pulley Snout Hole: 5/8" O.D. 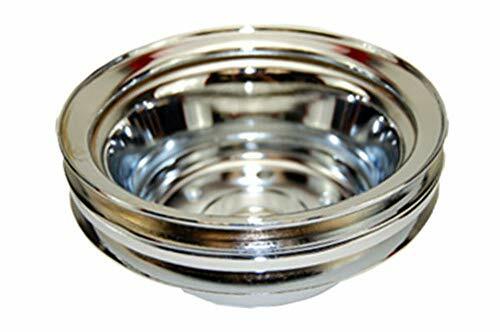 (can be drilled out to 3/4") Fits Small Block Chevy V8 with '55-'68 short-style water pump with 5/8" shaft. Note: The lower crank pulleys in our combo kits are manufactured thicker than normal stock pulleys. This requires longer 3/8" bolts to be purchased separately. Allen head type bolts recommended. Get the correct pulleys for your application by learning which water pump you have as explained in our tech article. SBC - Short vs Long Water Pump. 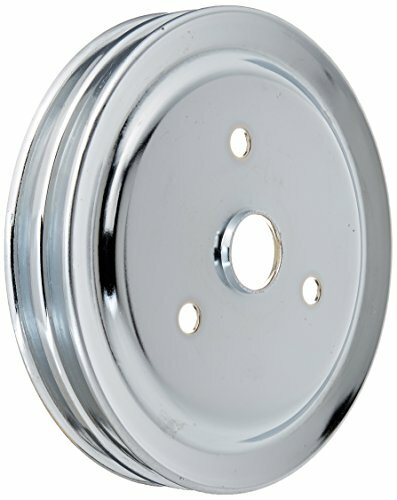 Brand new chrome steel double groove crankshaft pulley. 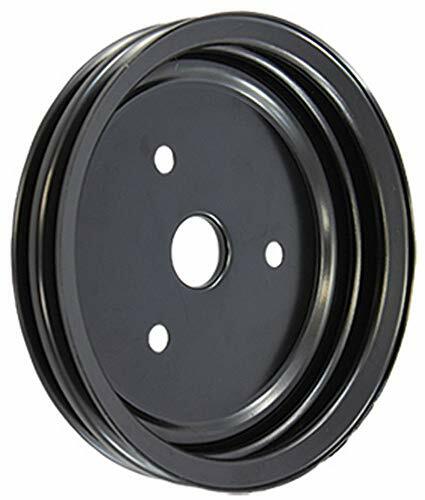 This pulley fits 1969-85 small block chevy's with a long water pump. This pulley is 6.90 inch diameter. Chrome steel finish. Sold each. Brand new machined aluminum double groove crankshaft pulley. 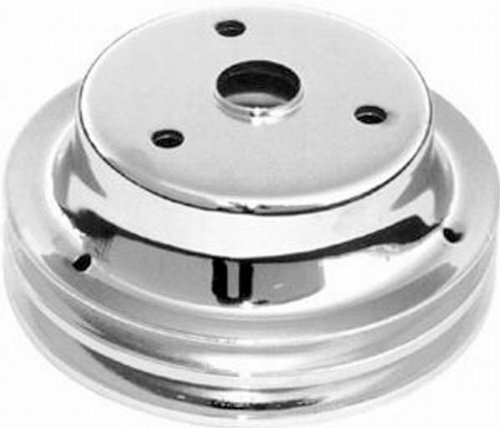 This pulley fits 1955-68 small block chevy's with a short water pump. This pulley is 6.60 inch diameter. Machined aluminum finish. Sold each. 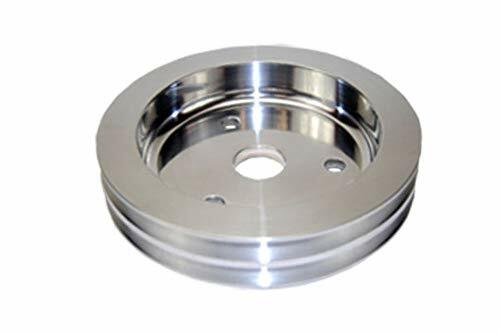 Brand new chrome steel double groove crankshaft pulley. 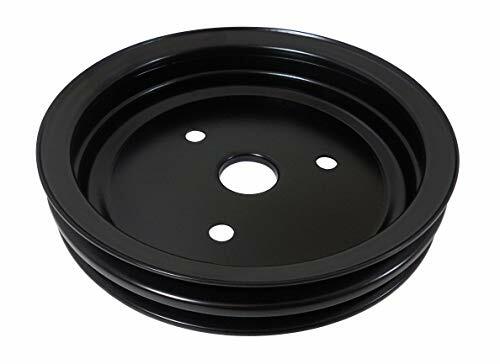 This pulley fits 1965-68 big block chevy's with a short water pump. This pulley is 7.60 inch diameter. Chrome Steel finish. Sold each.